Brentwood Baptist Church exists to connect people to Jesus Christ through worship, discipleship, and service. This mission drives our objectives, goals, and strategies. In 1968, a group of believers gathered at the Tennessee Baptist Children’s Home to begin a church plant of Woodmont Baptist Church. 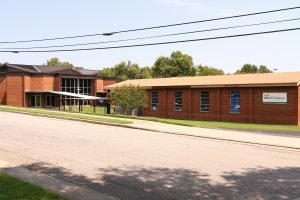 This new congregation adopted the name, Brentwood Baptist Church, in 1969 and moved to a building on Franklin Road in 1972. Membership grew to 1,771 under the leadership of the church’s first Senior Pastor, Dr. Bill Wilson. He became the pastor in 1970 and led the church until 1990, when he joined the staff of the Tennessee Baptist Convention. 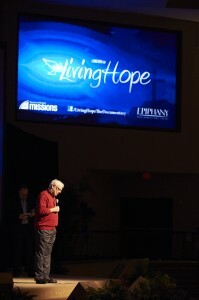 Mike speaking during the Living Hope documentary premiere. Dr. Mike Glenn was called as Senior Pastor in 1991. A few years later, thirty acres of land at 7777 Concord Road were purchased. By June of 2002, the church moved to a new 175,000-square foot building. Under Mike Glenn’s leadership, Brentwood Baptist church has grown to a membership of over 9,000 people. 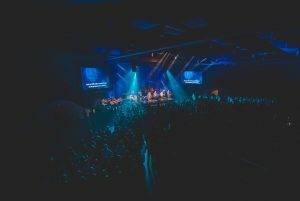 In 2008, the church voted to become a multi-site congregation in order to connect more people to Christ by bringing the church’s philosophy and brand of ministry to under-churched communities in Middle Tennessee. This broader vision for church multiplication includes creating regional campuses, traditional church plants, establishing ethnic congregations, and repurposing existing churches. 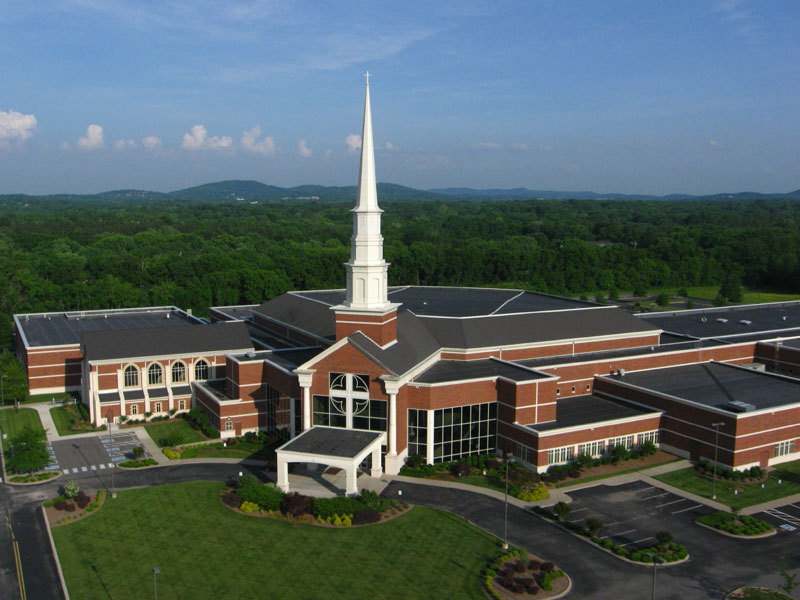 Brentwood Baptist established its first regional campus, The Church at Station Hill, in 2010. 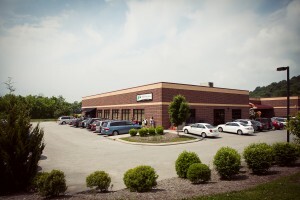 This campus is located in the thriving area of Spring Hill. Over the last five years, the church has rapidly grown. In September 2015, this campus completed and moved into a new 50,000 square-foot facility. 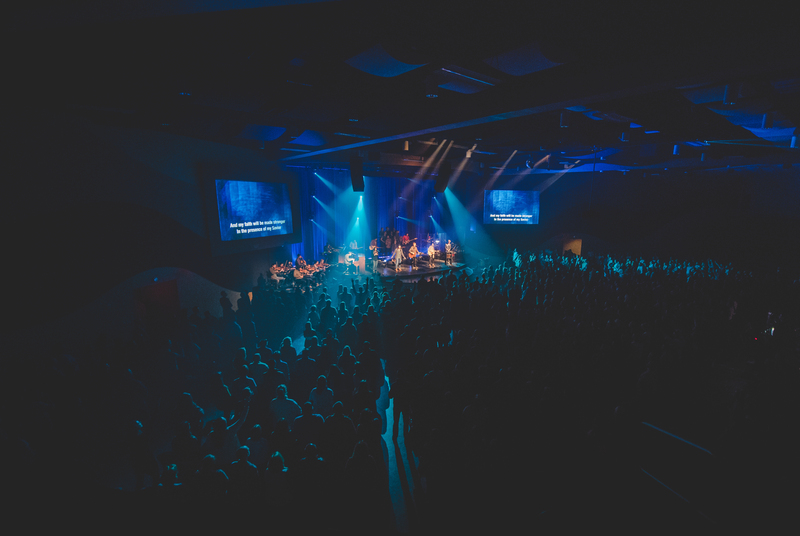 With a worship capacity of 700 seats, the church is already running two services. 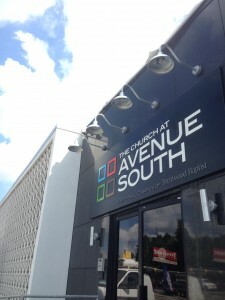 Located in the heart of South Nashville, The Church at Avenue South reaches people living in the communities of Melrose, Berry Hill, Belmont, 12 South, and surrounding areas. On September 7, 2014, The Church at Avenue South held its inaugural service in the historic Acuff-Rose building. The Lord has placed this campus in a building with roots that reach deep into the history of Music City, where thousands of people are within walking distance and can be reached with the hope of the gospel. The Church at West Franklin, previously West Franklin Baptist Church, was a ten-year old congregation with 150 active members. 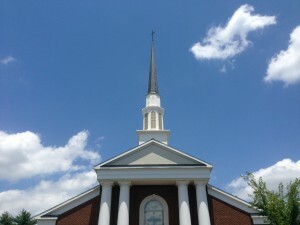 The congregation voted in January 2014 to begin the process of aligning with Brentwood Baptist. Their first service as a regional campus of Brentwood Baptist took place on September 7, 2014. Woodbine Baptist Church has been faithfully serving, caring for, and sharing the gospel with a community in a constant state of transition. Now, as The Church at Woodbine, this ministry campus of Brentwood Baptist will continue to reach out to an area of Nashville that is rich with diverse cultures, languages, and people groups. The Church at West Franklin and The Church at Woodbine are examples of Brentwood Baptist joining with existing churches that are struggling or in times of transition and repurposing these churches so that ministry can continue and more people will be reached with the gospel. Regional and ministry campuses fall under the governance of Brentwood Baptist Church. This governance structure is based on the biblical principle that the local church is an autonomous, self-governing body of baptized believers and is accountable to God for its decisions and actions. The ultimate authority for governance is vested in the membership in a congregational form of church governance. Each campus is an established entity operating as a whole and permanent part of the Brentwood Baptist Church (corporation). Each maintains pre-determined alignment characteristics that uphold the Brentwood Baptist “DNA” while also containing some contextualized characteristics to allow it to best reach its target audience. The leadership of the Trustees, Financial Ministry Team, and Staff Resource Team extends to each campus. More than repurposing churches through mergers, Brentwood Baptist, through the work of the Middle Tennessee Initiative, desires to serve existing churches in other ways. As leadership and resources allows for, we desire to coach churches too. That may be a via Brentwood Baptist Congregational coach who comes alongside churches to help them evaluate, set-up processes, and make God-honoring decisions. This could involve the church merging with Brentwood, another local church, dissolving, or hopefully, finding new purpose and once again fulfilling God’s calling (albeit a newly purposed calling) to that community it is in. In addition to regional and ministry campuses, Brentwood Baptist Church also includes people-group congregations, campuses, and ministries. A congregation is a specific people group or targeted demographic that typically meets at the central campus of Brentwood Baptist but maintains its own identity as a “sub-congregation.” In most cases, a congregation will have its own pastor. The Chinese Congregation is one example. A campus is a congregation with its own identity and pastor/staff leadership, but it is not fully identified as a regional campus due to its location not necessarily being strategically placed in a geographic region. The Deaf Church and Kairos are both campuses within Brentwood Baptist Church. A ministry is an entity within the Brentwood Baptist Church that tailors its overall ministry efforts to a specific people or language group. It is identified as such based on being more integrated with the larger Brentwood Baptist congregation and not having its own pastor. A ministry could become a campus or a congregation in the future. The Hispanic Ministry is an example. Through the years of growth and change, the priorities of Brentwood Baptist Church have not wavered. Today, the church continues to focus on connecting people to Jesus Christ—locally, nationally, and internationally—through worship, discipleship, and service. The Church at Woodbine ministry campus is an exciting new addition to the Brentwood Baptist family. Since the Woodbine and Brentwood congregations voted to come together in the summer of 2014, the Woodbine Vision Team and members have been planning and strategizing on how best to reach this diverse community. 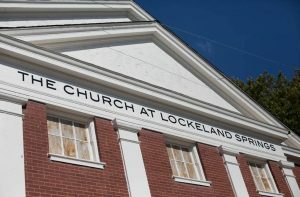 The Church at Lockeland Springs is a Church in transition in a neighborhood in transition. We have been moving forward through exciting revitalization of the building, worship, and mission of this historic church to become a vital part of our community again and it is an exciting thing to be a part of. This transition began when the Lockeland Baptist and Brentwood Baptist congregations voted to come together in the spring of 2016. The Lockeland Springs team and members have been planning and dreaming about how best to reach this community. Come join us! The Kairos congregation is led by Chris Brooks, Kairos is about God’s keen sense of timing in our lives. We seek to create inviting spaces that are an honest and unique attempt at connecting to God and to each other. Kairos meets on Tuesday nights at 7:00 pm in Hudson Hall at the Brentwood Baptist Campus.